There is so much to learn and explore in so many disciplines that it’s hard to include everything we want to in our curriculum. Whenever we can interweave concepts in a meaningful way, I love to do so. 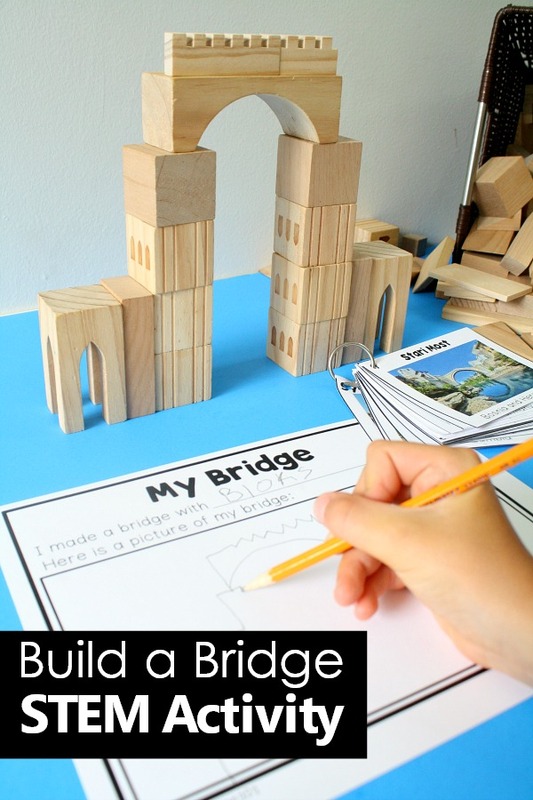 These Bridge Building STEM activities offer a wonderful opportunity to introduce kids to new architecture and places throughout the world as they practice STEM skills. 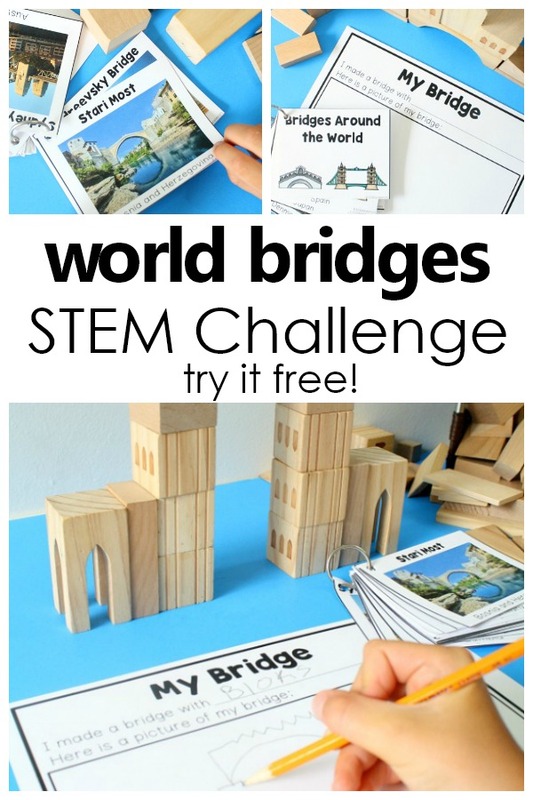 Watch a quick video of this Bridge Building STEM set, and grab a free sample, too. 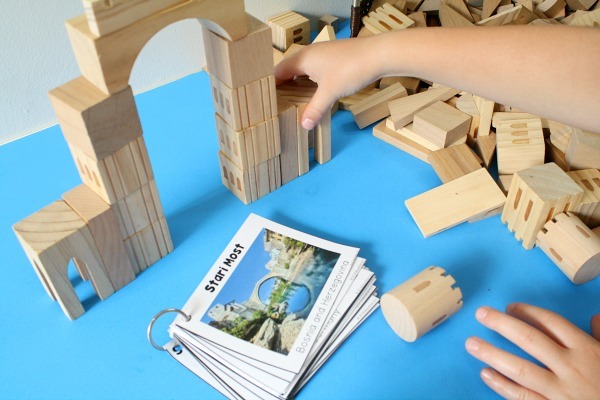 Our series of STEM building challenges is inspired by Fun-A-Day’s world structures STEM set. They’ve been so popular that we’ve worked together to add on different sets so we can use them in the block center or maker space all year long. Watch this quick video to take a peak at the Bridges STEM set in action. 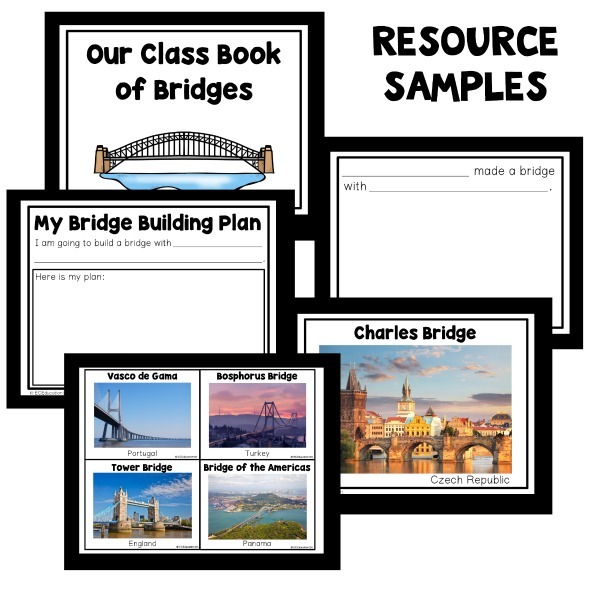 Inside the set we’ve offered both full-page and quarter-page real images of bridges from around the world. 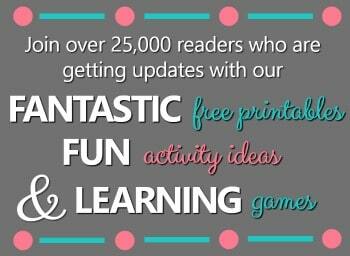 Use them to create a flip book. 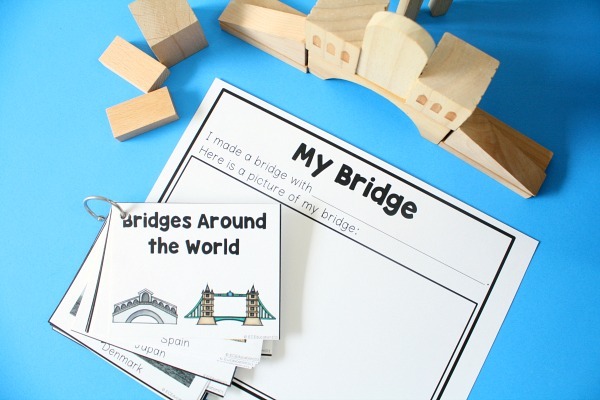 Add them to a pocket chart for kids to choose from, or leave them loose for kids to choose and take to a building station of their choice. 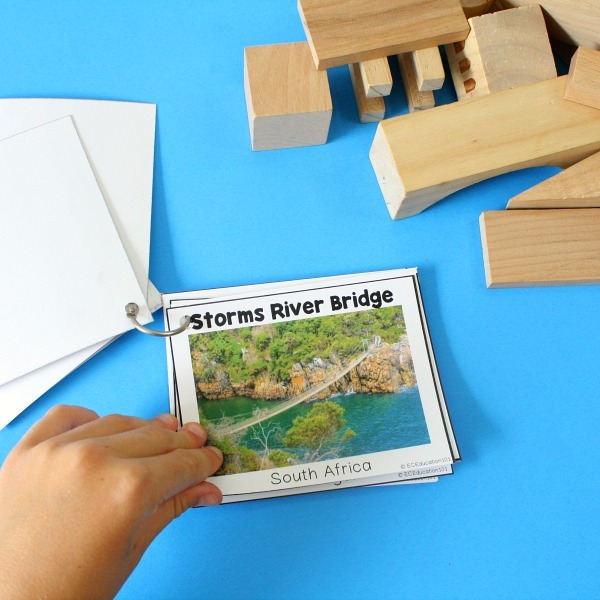 Kids love choosing from the real photographs and finding where each bridge is located on a map, so if you can keep a map handy that’s a great addition to these bridge building STEM activities. Get creative and use the building material of your choice. Here we’re using small blocks. Large blocks, LEGO bricks, recycled supplies, magnetic tiles, and pattern blocks all make good options, too. 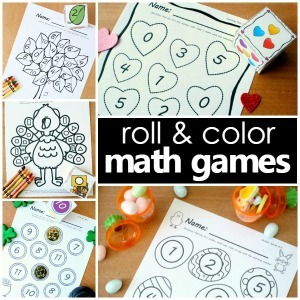 Extend the learning by having kids record their creations. We love compiling our creations into a class book of structures made throughout the year. You can even take a quick picture of them to attach to student drawings in the book. 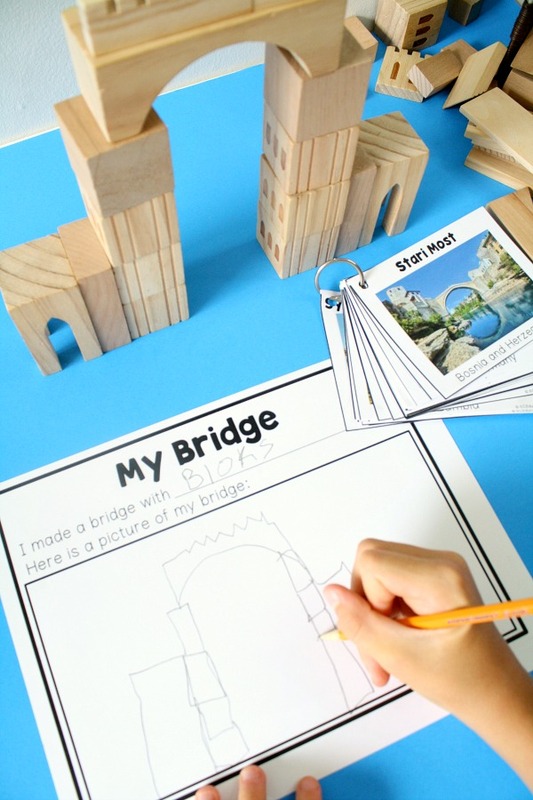 Add this collection of famous bridges to your or building block center. Having buildings from around the world leads to discussions about different people and places. 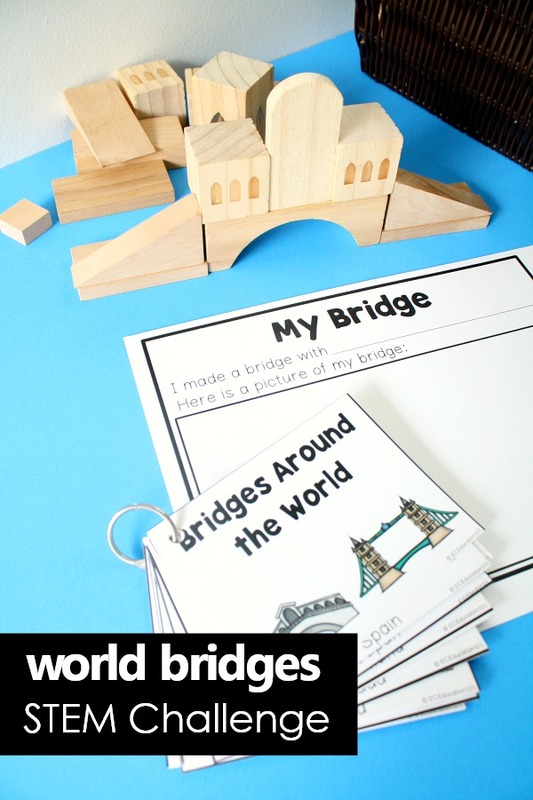 Geography lessons can easily spring from these discussions, as can basic engineering concepts. 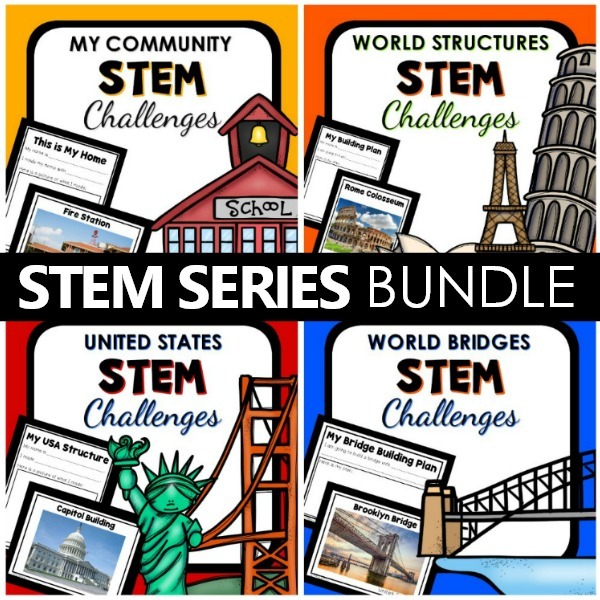 Or save over 25% when you buy the complete STEM Challenges Series BUNDLE! 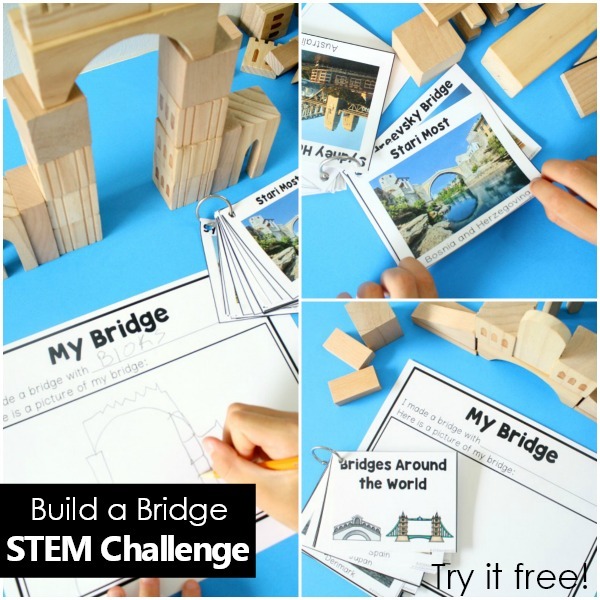 Get the STEM Challenges Bundle!